I remember funding my first sports betting account back in 2000 using my debit card and crossing my fingers it wouldn’t get flagged for fraud. I also remember panicking when it came time to withdraw some winnings and the sportsbook hit me with 18 levels of identity checks and I thought I’d never see my money again. I remember sweating waiting for the check to arrive in the mail and being scared to take it to the bank. I absolutely expected the manager to get called to the counter and involve the local police to work out how I had gotten money from an unregister foreign entity. It was easy to imagine the investigators unraveling the financial web and figuring out that I had been illegally betting on sports for what amounted to just under $300. I remember using Neteller… I remember using gift cards… I remember using Braintree… each method dripping with dread upon every use that the transaction would fail and my hard-earned money would disappear into the ether. All of that dread has melted away with the implementation of BTC. In this new environment, I’m no longer concerned with my credit card number getting skimmed and used to make fraudulent $1500 purchases at David’s Bridal online (true story)… I’m not paying a $50.00 fee to have a check drawn… I’m not worried about my PayPal account getting frozen for suspicious activities… I’m not losing sleep that if I make a withdrawal the check won’t arrive or the bank won’t cash it… really, BTC has taken an entire element of stress away from sports betting online. I’m not an expert in BTC, fair chance if you’re reading this you know as much or more about BTC than I do. There are numerous online resources to better understand what BTC is and how it was developed, I am not one of those resources. I don’t have a computer science degree or a conceptual understanding of the advanced mathematics that went in the infrastructure that supports the coin but I was lucky enough to have friends in my life that did understand those things and give me the tips needed to be on the BTC frontier. At its core, BTC (or any cryptocurrency for that matter) is a commodity that can be exchanged for US Dollars (USD) or any other monetary form and stashed online in a free wallet (or offline, if you are an extremely careful person). 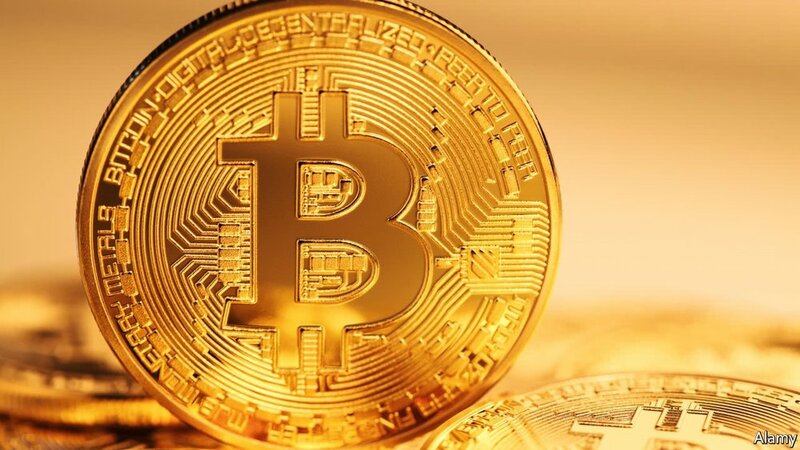 If you have an account at an offshore betting shop BTC has become the preferred method, and in some cases the only method, for depositing and withdrawing funds to and from your bankroll. In addition, there are now legitimate sportsbooks that operate entirely within the world of BTC (i.e. you place a wager as 0.1 BTC instead of $500). This benefits you in that from the time you deposit to the time you withdraw, the growth in the underlying value of your BTC is reflected in your investment on top of whatever you earn betting sports. There are many ways to do this and rather than give you an in-depth breakdown I’ll just describe my experience getting started. It should be noted I started doing this over a year ago and the more you use BTC the easier it becomes so things may have changed in terms of starting up, apologies if that’s the case. My goal this time last summer was to use BTC to fund existing accounts I was using at some well know offshore shops. I did a little research and settled on Coinbase (CB) as my exchange to buy BTC for the first time. I opened an account, I FOLLOWED ALL THE RECOMMENDED SECURITY PROTOCOL STEPS, linked my new CB account to my primary checking account and bought the maximum amount of BTC I was allowed, which since I was brand new amounted to $50 worth of BTC (approximately like 0.1 BTC at that time). It took several business days for my first purchase to clear, and I believe there was a $1.98 fee on top of the $50 transaction but sure enough about a week later I had my 0.1 BTC and now my limit was raised up to $500. Now I’m a recreational bettor and I intended to stake a bankroll of 2k to play the NFL (figured I’d start small since it was my first time doing this), so I bought $500 more worth of BTC and this time the fee was about $7.00 and the wait was a few days shorter. After this second transaction, my limit was raised to $1000.00 per purchase and there was no fee so I rounded out my BTC to my intended bankroll of $2k, and was pleasantly surprised that the price of BTC had gone up enough since my first two purchases that I had a couple hundred extra worth to play with, in total just under 4 BTC. Now that I had BTC in my CB account, I need to do another bit of online research to figure out what to do next and the consensus was, send it to a blockchain wallet as a middle-stop before sending it to your sportsbook. Two key advantages here are 1) the blockchain wallet is more secure than CB and 2) the intermediate stop provides the anonymity desired between the bank and the book. So, I created a wallet at blockchain.info, I FOLLOWED ALL THE RECOMMENDED SECURITY PROTOCOL STEPS, and I sent my 4 BTC to my blockchain wallet. The sending BTC step involves one thing, a destination address which in this case was a 35-character alpha-numeric code (if using a phone, a QR code works the exact same way). I executed a transfer and copy/pasted the address, had three-factors of security to clear including entering a password, confirming an email and confirming a text message code, then about 12 hours later my 4 BTC made it to my wallet safe and sound and I paid a fee that amounted to a little under $1.00. Ready now to send this to my offshore books, I specified deposit by BTC, I got their addresses and shipped out my coins. A couple books updated my balance almost immediately but the longest it took to see my balance in my account was 6 hours and the fees in total were under $2.00. In total buying $2k worth of BTC and send it to my offshore accounts took about 12 calendar days and I paid a total of $12 in fees (although the growth in BTC in the time it took to process everything was more than 10 times the fees spent). Now buying/sending/receiving is much faster, fees are still very low, and the recent upgrades have resulted in an anonymous, stable currency with seemingly no downside. The offshore accounts I used converted my BTC back to US dollars and all of the bets I made thereafter were based in familiar currency units. The NFL season was brilliant and the NBA playoffs continued to see success and following the NBA Finals I had grown my bankroll from 2k to over 4k. Rather than risk giving it all back playing tennis I withdrew my 2k in winnings and again specified BTC as my withdrawal method, gave them my wallet address and 12 hours later my BTC was back in my blockchain wallet, only one problem... I now only had 1 BTC. The price of BTC grew 4 times faster than I could do betting sports on one of the better runs of my lifetime so when I cashed out $2K worth of US dollars it didn’t even buy me one coin. If I had just held my 4 BTC instead of sending it offshore in the first place I would’ve grown my investment from $2k to $10k (and then from $10k to $18k since June) but the growth observed in BTC over 2017 has surpassed my wildest expectation by a lot so here we are. After digesting this, I explored betting on a purely BTC based sportsbook, as mentioned above, but found that bankroll management is a difficult task when a $50 bet was 0.01398 BTC on Monday and 0.00928374 BTC on Friday, so I still have work to do on that front. But if you can make that work for you, it’s a valuable option to get the full growth potential out of Bitcoin on top of whatever you earn betting sports. Finally, I can’t give you any personal experience about selling BTC because I’ve never done it. Besides trying it out to get a feel for the process I don’t intend to sell any BTC until I retire. The price as of this post is around $4,500 per coin and as best I can tell you, will continue to grow as the currency becomes more widely held and more fundamental to digital financial transactions. Bitcoin is the future and the future is now. Thanks to this technology one of the major sweats of sports betting has been lifted. Now if I could only ensure a sweat free NFL season we’d really be onto something really good.